Often people experience a period in their lives where there are barriers to moving in a positive direction. Those working in helping roles regularly encounter challenging forms of resistance in their clients, and may sometimes feel unable to respond in an effective way. 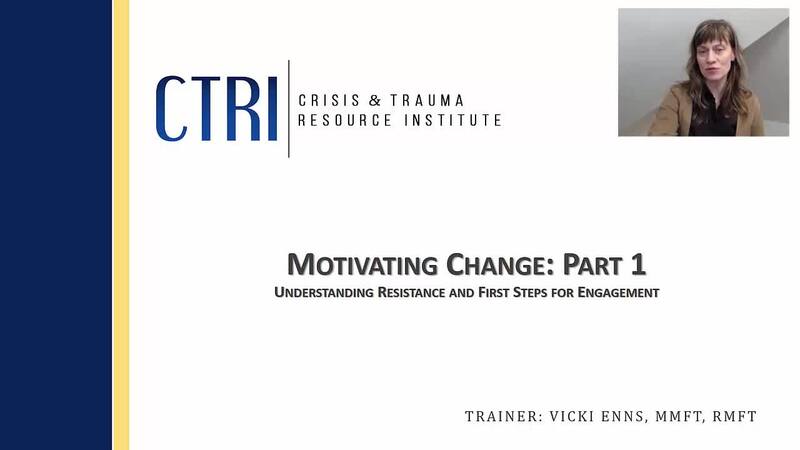 This webinar examines resistance and effective strategies for beginning to engage with clients. Viewers will be challenged to reassess their methods of interacting with resistant clients, and bring a new, collaborative, client-centered approach to their work.